The Steering Committee of the World Movement for Democracy calls on the Supreme Court of Kazakhstan to honor the appeal submitted on 27 January 2010 by the defense team of human rights activist and fellow Steering Committee member, Yevegniy Zhovtis. 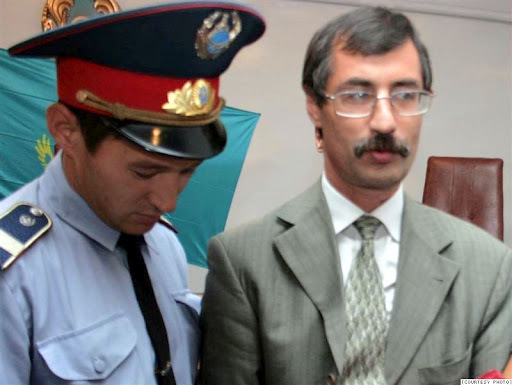 In the appeal, citing article 67 of the Criminal Code of the Republic of Kazakhstan, Mr. Zhovtis’ defense team calls on the Supreme Court to overturn the guilty verdict against Mr. Zhovtis and immediately release him from prison. On 26 July 2009, Mr. Zhovtis was involved in a car accident, resulting in the tragic death of a pedestrian, Kanat Moldabayev. It is now clear that Kazakhstani authorities exploited this unfortunate accident to politicize the investigation and punish Mr. Zhovtis for his human rights work, evidenced by the fact that the investigation and the subsequent trial were rife with procedural violations. Mr. Zhovtis was convicted and sentenced to serve a four-year prison term on 3 September 2009. On 2 February 2010, the US Helsinki Commission will convene a hearing on Kazakhstan’s current chairmanship of the Organization for Security and Co-operation in Europe (OSCE). The Steering Committee urges the Commission to consider Mr. Zhovtis’ case, which demonstrates Kakazhstan’s disregard of fair trial standards. We express our solidarity with fellow Steering Committee member Yevgeniy Zhovtis. This entry was posted in Evgeny Zhovtis, Human Rights, Kazakhstan, OSCE. Bookmark the permalink.